Hours before the Xbox at Gamescom 2017 event, the Xbox One X Project Scorpio Edition and the Xbox One S Minecraft Limited Edition consoles have been leaked. According to pictures posted by industry tipster Wario64 (via a piece from Wired that was published early and still viewable here) the Xbox One X Project Scorpio Edition sports the Project Scorpio name in neon green font that’s been an Xbox staple since the first console back in 2001. The controller has similar markings as does the box along with a giant ‘X’ symbol. There seems to be a vertical stand that comes along with it too. Like the standard Xbox One X console, it will cost $499 (around Rs. 32,000) and will be available via the Microsoft Store and website. 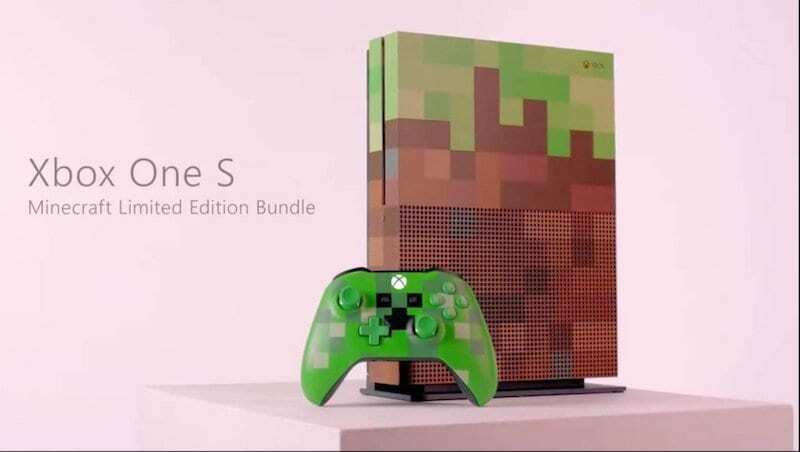 Also revealed is the Xbox One S Minecraft Limited Edition bundle. Its decked in the colours we’ve come to expect from the blocky terrain the game is known for and comes with a matching controller to boot. Earlier these were alluded to by retailer listings but these images pretty much set up what to expect from Microsoft when the event begins. The Xbox One X pre-order date and time could be revealed at the event. Tom Warren, Senior Editor at The Verge suggested that this could be the case. “Xbox One X preorders will go live on Sunday after the Gamescom press event,” he tweeted. Safe to say, expect Xbox at Gamescom 2017 to be all about the Xbox One X’s availability. More so given that the story from Wired that was published early claimed that pre-orders are open from the moment the announcement has been made. At the moment its unclear if India will even get the console at launch. Reason being the Xbox One S – which released globally last year, was to release in the country in April according to multiple retailers. It was pushed back further to account for GST. And while GST has been implemented, Microsoft India has not replied to repeated requests for comment on the Xbox One S or Xbox One X India release date, let alone pre-orders.